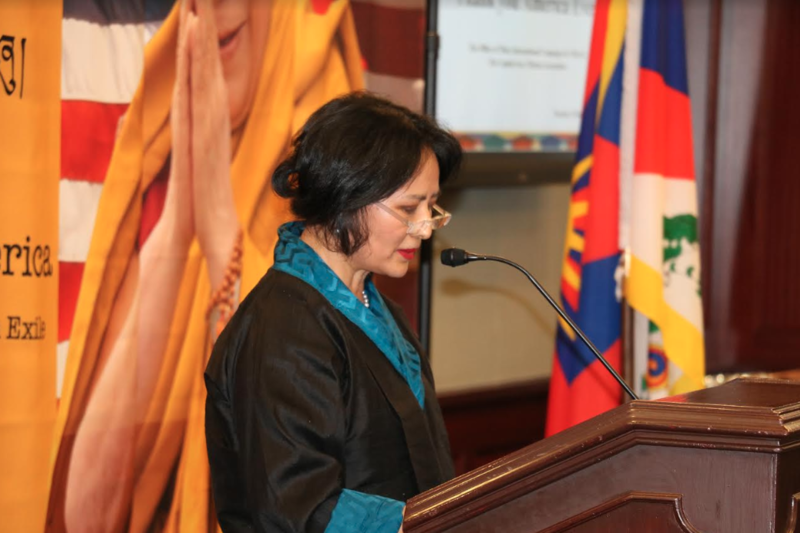 Washington DC, February 12 2019: Since Tibet was occupied by China sixty years ago, the United States has been an ardent supporter of the rights of the Tibetan people and the plight of the Central Tibetan Administration. This Tuesday, House Majority Speaker Nancy Pelosi and group of Members of Congress gathered to hear expressions of gratitude from the Tibetans and express their solidarity with the Tibetan people. This gathering was a part of the Central Tibetan Administration’s yearlong gratitude campaign and organized by the Office of Tibet, the International Campaign for Tibet, and the Capitol Area Tibetan Association. The Thank You America event began with a prayer for world peace by Khenpo Samdup and performance of the American and Tibetan national anthems. This was followed by remarks given by a various member of Congress including Speaker of the House Nancy Pelosi. Speaker Pelosi reaffirmed the United States’ support for the people of Tibet, saying, “unless we speak out bravely, we lose all moral authority.” Dharma Wheel souvenir was presented to the Speaker Pelosi to Thank the government and people of the United States. Another important address came from Dr. Lobsay Sangay, the President of the Central Tibetan Administration. Dr. Sangay urged for the appointment of a Special Coordinator for Tibetan Issues by the Trump Administration, as the position has remained vacant since 2017. 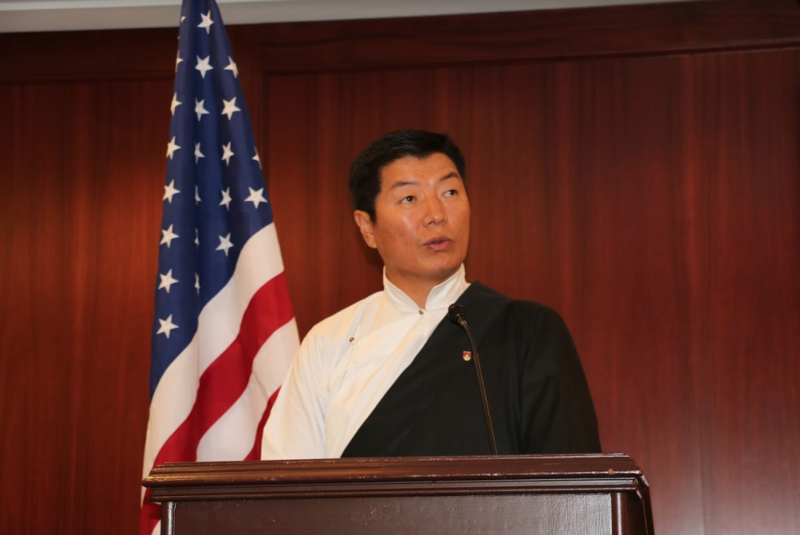 Sangay also told the audience that, “Tibet and the Tibetan people have always found a true friend in the USA,” and informed the audience that a resolution to Tibet issue is “not so far” away. Congressman Jim McGovern, Congresswoman Eleanor Holmes Norton, Congresswoman Betty McCollum, Congressman Ben McAdams, Congressman Tom Suozzi also gave impassioned speeches thanking the Tibetan people for their contributions to American society and stating their continued commitment to truth, human rights, and justice in Tibet. Other speakers of the evening included the US Ambassador of Religious Freedom Sam Brownback, the President of the International Campaign for Tibet Matteo Mecacci, the President of the National Endowment for Democracy Carl Gershman, Members of the Tibetan Parliament-in-Exile Pema Chagzoetsang and Tsewang Rigzin. 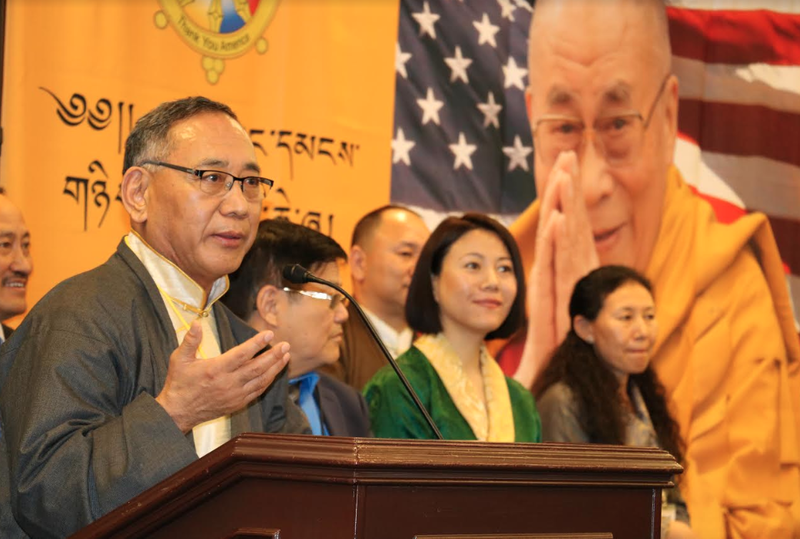 Representative of His Holiness the Dalai Lama Mr. Ngodup Tsering provided the closing remarks and the Vote of Thanks who was joined by Presidents of Tibetan Associations in the US. 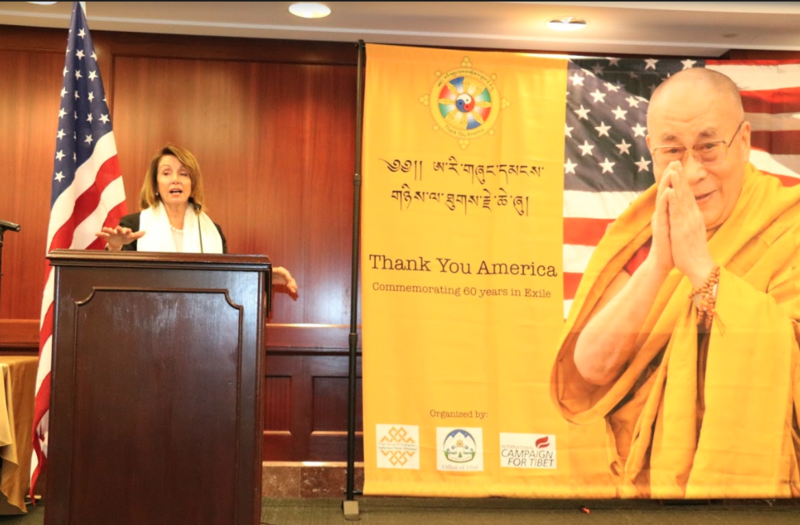 Speaker of US House of Representatives, Hon Nancy Pelosi speaking at the Thank you America event organized by the Office of Tibet, the International Campaign for Tibet, and the Capitol Area Tibetan Association. President Dr Lobsang Sangay addressing the Thank you America event on 12 February 2019. Representative Ngodup Tsering, Office of Tibet, Washington DC speaking at the Thank you America event. 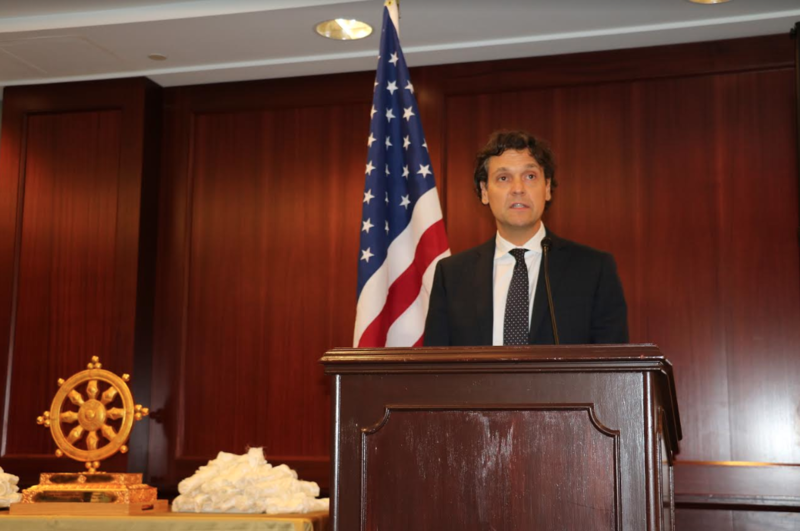 Matteo Mecacci, President of the International Campaign for Tibet addressing the Thank you America event. 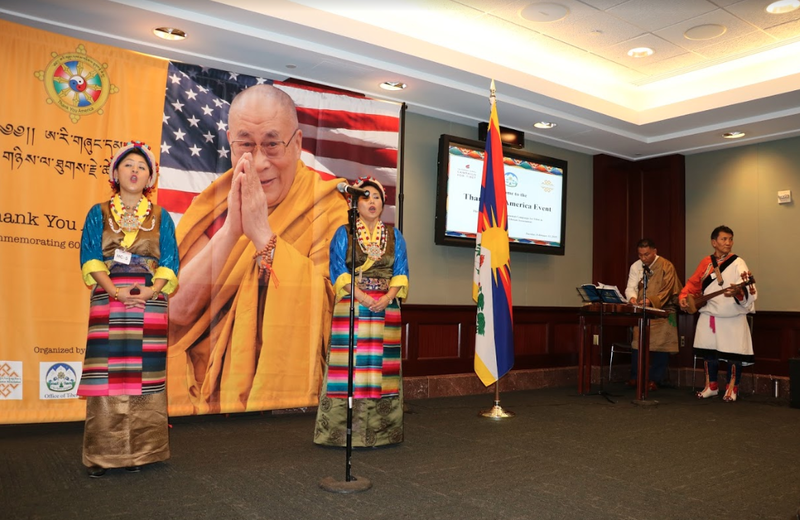 Tibetans showcase traditional performances marking the Thank you America event. Member of the Tibetan Parliament-in-Exile Pema Chagzoetsang speaking at the Thank you America event. 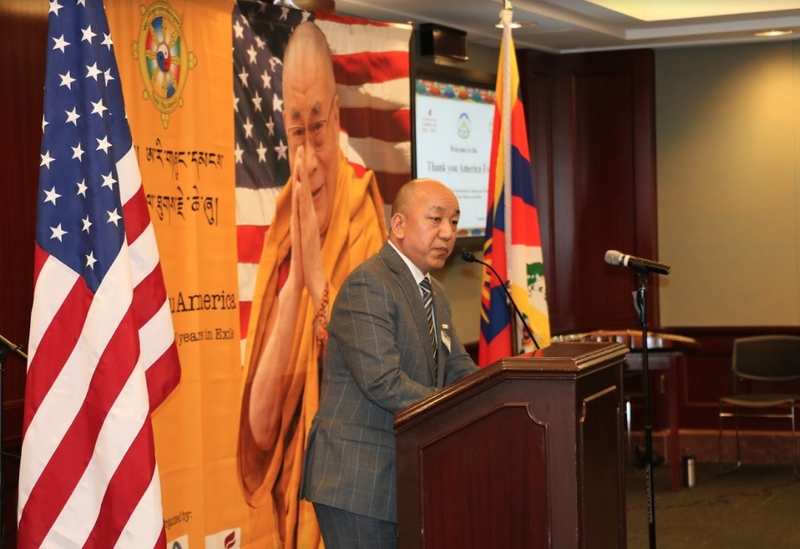 Member of the Tibetan Parliament-in-Exile Tsewang Rigzin speaking at the Thank you America event.